Why can I not see the Performance tab? 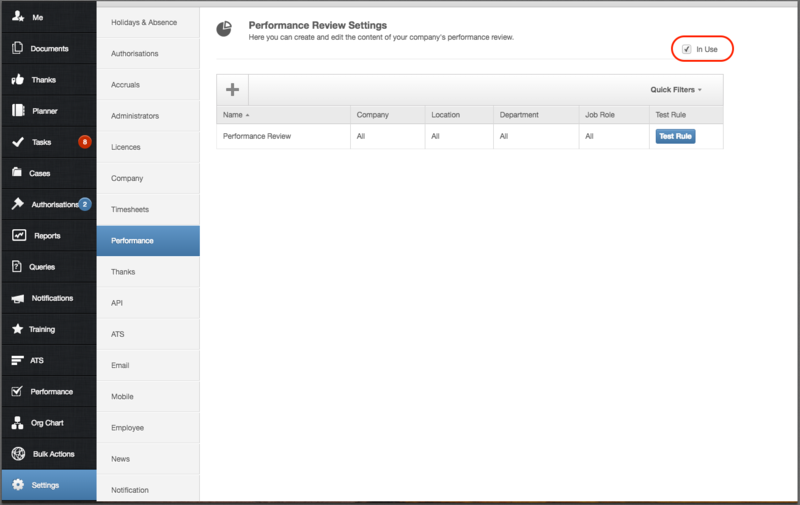 As an admin, there are a few reasons why you may not be able to see the Performance tab on the left hand side. (1) 'In Use' button is not ticked. 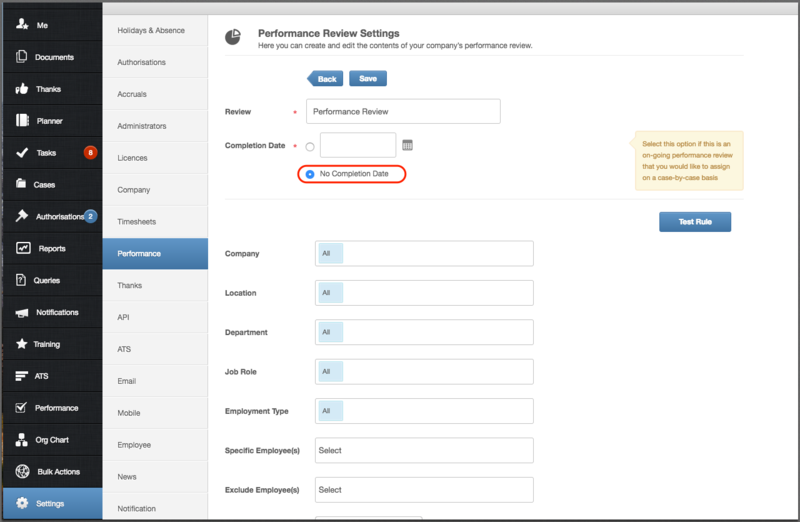 Another reason why you may not find the 'Performance' tab is because all review templates do not have a completion date. The Performance tab on the left-hand side is a performance tracker, and with no completion date it doesn't necessarily need to be 'tracked' to ensure it is completed before a completion date - for example an all-round-year review. 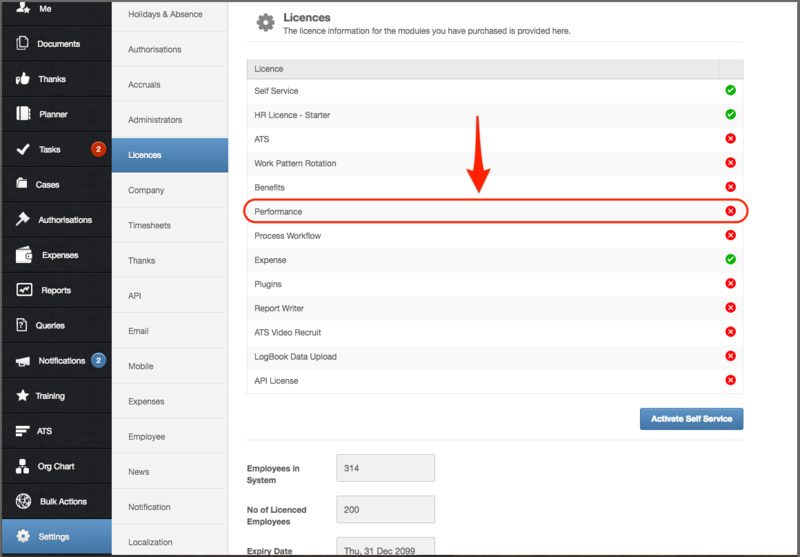 If there is an X next to the Performance Licenses, this is not included in your current package.